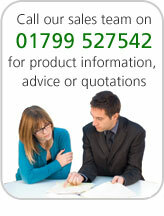 8.00am–5.00pm Monday to Friday. 9.00am–1.00pm Saturday. Many of our products are on display in our showroom in Saffron Walden, Essex, which is just a few minutes away from Junction 9 of the M11. 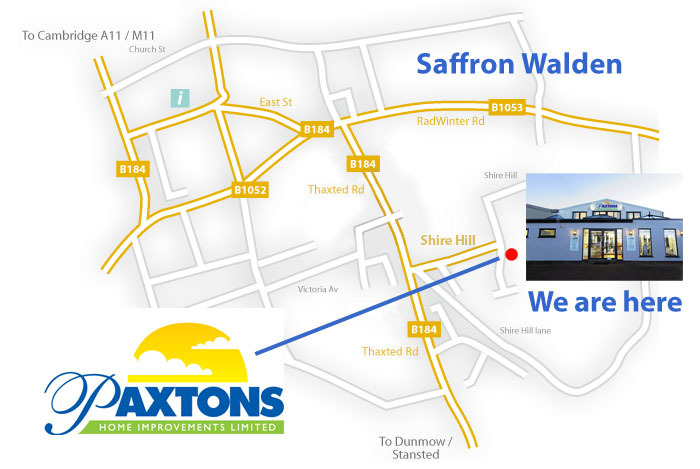 When you arrive in Saffron Walden we are situated on Shire Hill, which is half way along Thaxted Road. At the top of Shire Hill turn RIGHT, and we are 50 metres on the left. Please see the map below.